THIS WEEK: Vertigo undergoes a Rebirth moment as its new, socially conscious lineup kicks off with Border Town #1 and the Sandman Universe imprint’s first title, The Dreaming #1, launches as well. Over the last couple of years, Vertigo has been a relatively quiet part of DC’s regular lineup. Though not without regular publications, Vertigo’s line up has seemed to lack direction compared to some of its earlier days. Recently however, Mark Doyle stepped in to lead the charge for a new, socially conscious Vertigo whose stories speak to the times we live in. Enter: Border Town #1, the first book from this new lineup. If you’re one of those people who think politics should stay out of comics– first of all, your premise is ridiculous and baseless. But secondly, you’re not going to like Border Town #1. The story focuses on Frank, a teenager who has recently moved to Devil’s Fork, Arizona. Frank’s new hometown lies near the border between the U.S. and Mexico, which leads to some of the social tensions you might expect. 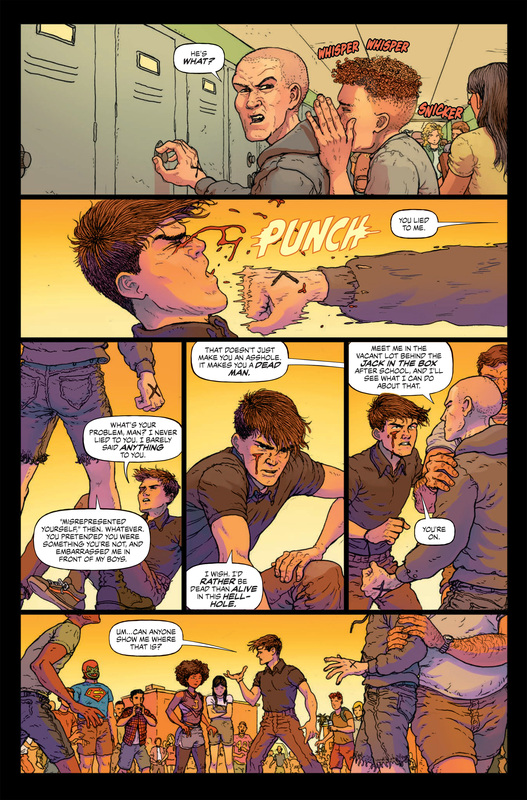 Frank quickly finds himself caught in the middle of his new high school’s ecosystem, which consists of a spectrum ranging from neonazis to undocumented immigrants. And in the town at large, in just the opening scene of the story, we follow a migrant family attempting to cross the border to the United States as a rowdy gang of self-armed border patrolling citizens rolls towards them. Before the two have a chance to clash, however, both find themselves caught in the deadly clutches of a mythical force that’s recently entered the world from a ley line that exists at the border between the two nations. If the idea of a magical ley line forming at the border between the United States and Mexico doesn’t tip you off, it’s safe to say that Border Town #1 is not at all a subtle book. 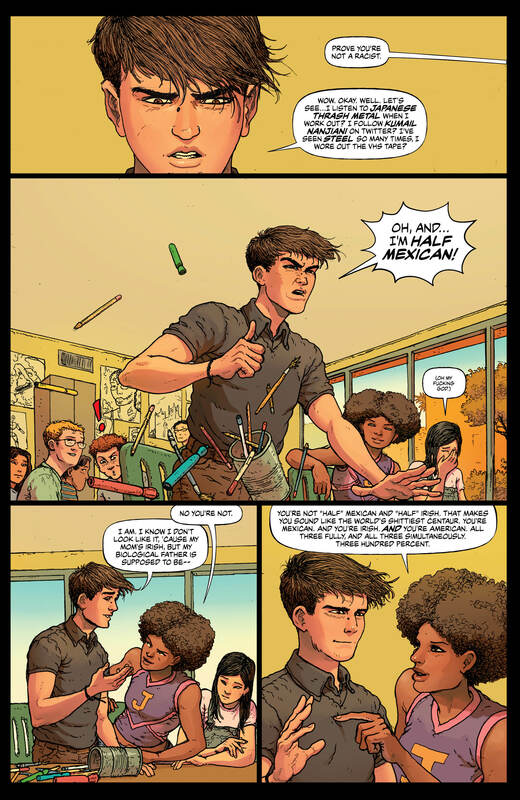 It’s a loud comic that has its lead dramatically shout out that he’s not only half-Irish, but half-Mexican in the middle of his first day in art class. It’s a comic that borrows from the caption-heavy narrative conventions of the Silver and Golden Age to give melodramatic airs to certain scenes. Border Town is a book about characters at the margins of Western society and makes no attempt to hide those facts throughout our introduction to the story’s world. And your mileage will likely vary with that. For me personally, I appreciate what the creative team has attempted to build through Border Town, though I do think there might have been a more graceful way to execute on its ideas. But indeed, grace is likely not what the creators behind Border Town #1 were aiming for. Ramon Villalobos, best known previously for his work on Nighthawk and America, brings a rough touch to all the proceedings throughout this title, his linework reminding me a bit of Paul Pope’s throughout. Villalobos’ artwork leans into the exaggerated nature of Eric Esquivel’s script and often even pushes scenes to an even zanier place. One suspects that the creative team knows how cheeky they’re being when they send one of the armed citizens to the border in a jacket with a large anime girl patch on the back. And that suspicion is confirmed later on in the comic when the aforementioned mythical force begins appearing throughout Devil’s Fork as a manifestation of peoples’ worst fears, including transforming into Bane when it comes across a young boy dressed as Batman. This all to say that Border Town #1‘s type of storytelling is not exactly in line with my love of bubblegum pop and smooth textures, but that the creative team recognizes what type of book Border Town is and refuses to apologize to anyone for it– and I kind of love it for that. Ultimately, the core of Border Town #1— the premise of a town that appears to be on the brink of a race war as a mythical force threatens all sides– is quite interesting. 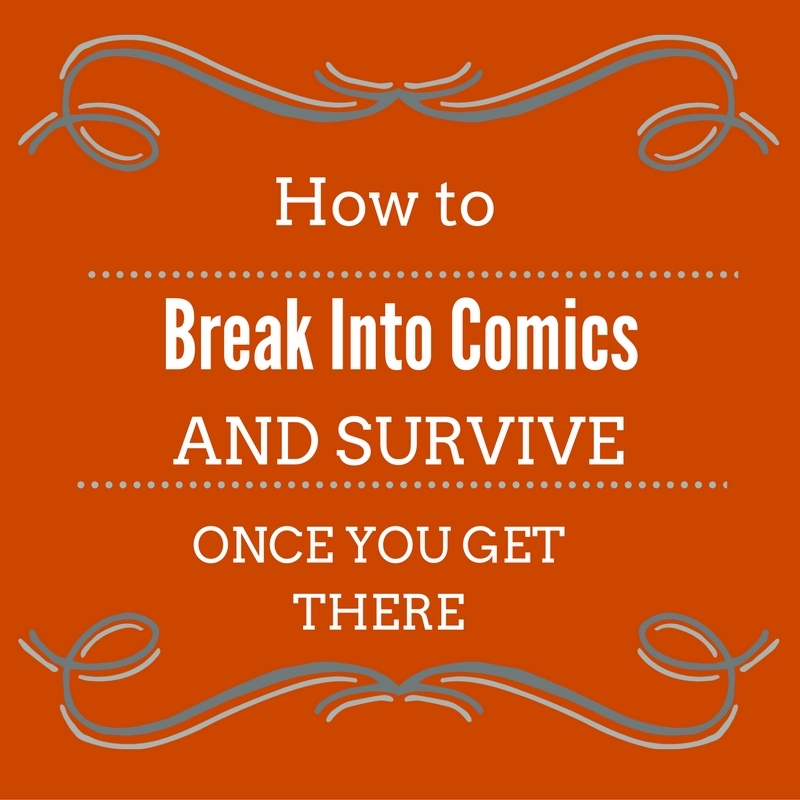 The first issue’s character work left something to be desired– I felt at times like people were telling us what they stood for with thesis-like clarity rather than showing us– but I found most of them to be compelling nonetheless. 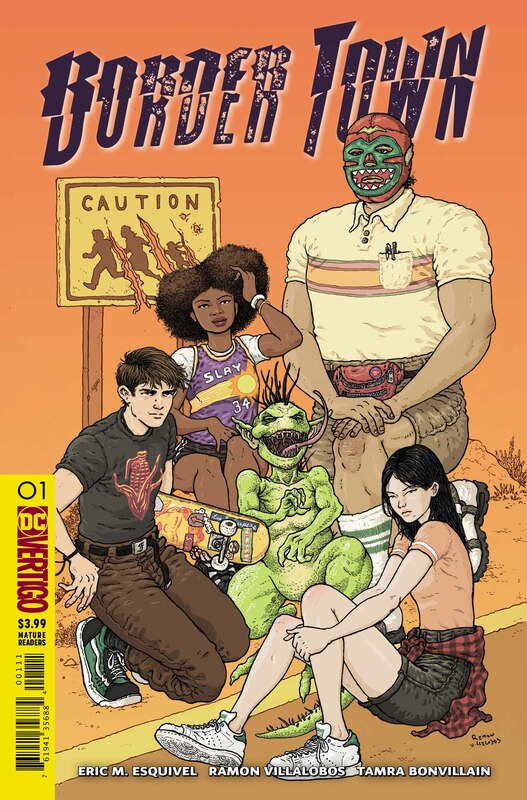 And even though Border Town is not, on its face, the type of book I would pick up, its topical subject matter gives it a timely and revitalizing feel that only periodical comics can offer and that I wish said comics would lean into more. 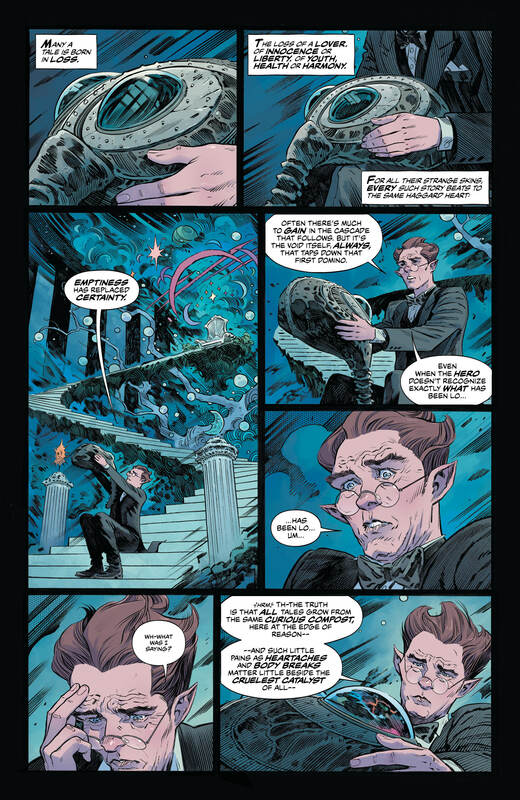 Last month, when the Sandman Universe imprint launched with a special issue featuring vignettes from all the new titles set in the Dreaming, I thought that the section that led into this week’s eponymous The Dreaming #1 stood out the most. Both Simon Spurrier and Bilquis Evely have previously proven themselves to be strong and compelling creators capable of executing on the fundamental elements that make a story good while also coming up with ways to present their ideas in ways that feel fresh and innovative. It’s curious, then, that I find myself feeling a ways more mixed about The Dreaming #1‘s debut than I did about its prologue. 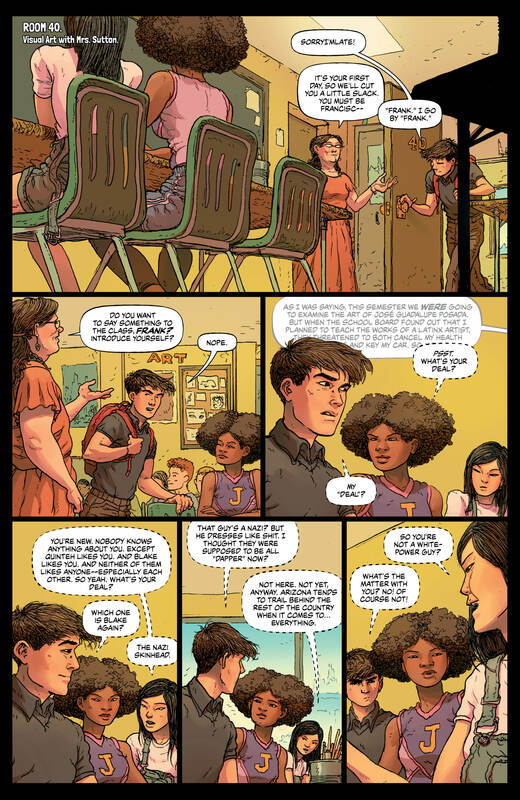 In Sandman Universe #1, we were introduced to Dora, a denizen of the Dreaming with a clouded past, oddly human needs, and a unique ability to move between dreams in a way no one else but Morpheus can. Out of a sea of characters both old and new, Dora immediately stood out thanks to her brazen attitude, sharp wit, and conflicted history with Dream of the Endless. Dora’s story, it seemed, provided the clearest path towards building a new epic out of the Dreaming’s historic foundations. And to some extent, The Dreaming #1 does develop on Dora’s promise. 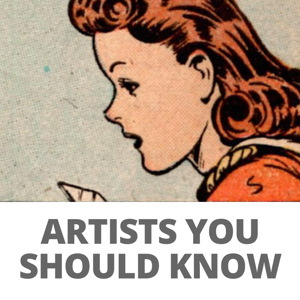 We learn a little bit more about her life in the Dreaming and her abilities in this issue. We even get to see her consort with a demon in a realm beyond the Dreaming, raising interesting questions about the extent to which Dora interacts with realms outside her own in a way that other dreams cannot. And yet, in large part, Dora isn’t really the main character of The Dreaming #1. Throughout this story, we see the foundations laid for several other characters’ arcs– Lucien the Librarian and Merv Pumpkinhead in particular. The Dreaming #1, living up to its title, ultimately presents itself as more of an ensemble story about the politics in and around the Dreaming rather than about any particular character’s journey. This idea, in conceit, is fine, but in practice I feel like The Dreaming‘s choice to pursue breadth over depth in its debut drags the story down. Unlike the first chapters of other ensemble stories such as, say, Game of Thrones, The Dreaming lays the groundwork for many stories but doesn’t ultimately deliver an immediately compelling hook that leaves you begging for the next issue. There’s a slowly brewing political conflict growing between Lucien and Merv and mysterious new forces are pouring in across the Dreaming to unknown intent, but nobody that we care about is immediately imperiled or even given clear stakes for the next chapter here. 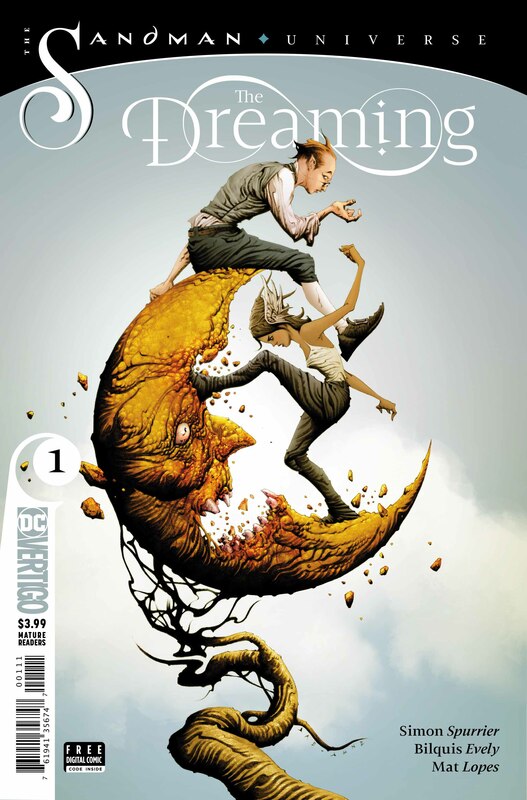 I don’t mean to be a downer– there’s a lot to love about The Dreaming #1. Bilquis Evely’s art, colored by Mat Lopes here, is as stunning as ever. 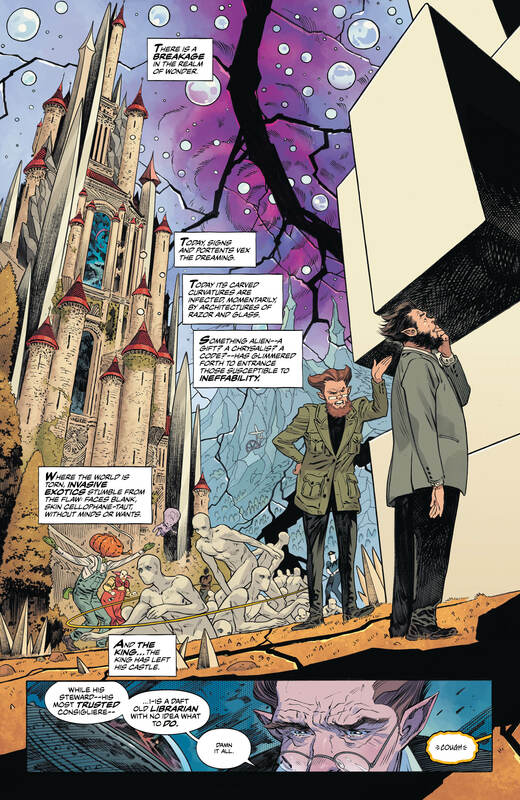 There’s no image in this chapter as explosive in detail as that opening spread of Sandman Universe #1, but Evely does an excellent job of balancing the time crunched nature of monthly comics with her penchant for creating compelling imagery– the first shot we see of Dora’s home in an enormous, endlessly branching tree, stands out in particular. And Lopes, to their credit, colors The Dreaming in soft shades of pastels and gradients that make my heart flutter. 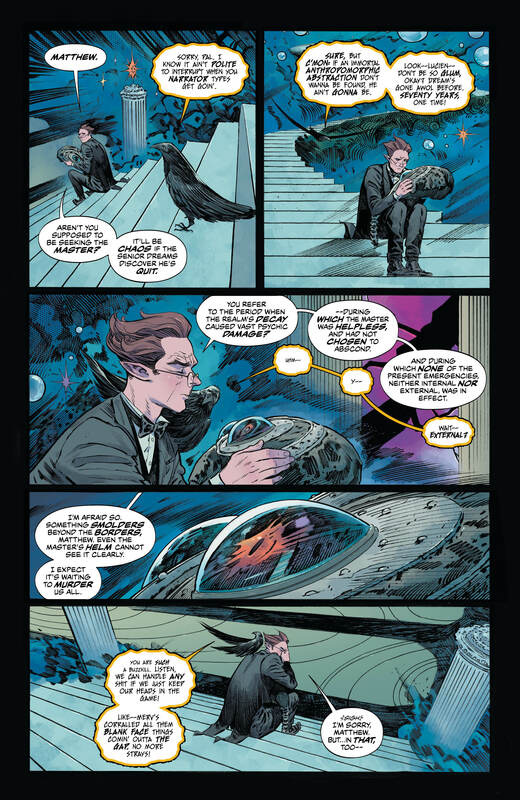 Plus, to the whole creative team’s credit, the character work in The Dreaming #1 is great. Spurrier has a great ear for lyricism, giving Lucien’s opening monologue a cryptic yet graceful tone which is juxtaposed against the dire expressions rendered on his face by Evely. Dora’s alternating natures of flighty grace and monstrous strength get multiple times to shine throughout the story, leaving her still the most easily compelling character of The Dreaming #1. Ultimately, The Dreaming #1 is a strong debut for the Sandman Universe’s regular lineup of titles. I just wish it had a stronger hook to leave me on the edge of my seat, eagerly begging for more. I find myself reverse-engineering Spurrier’s prose (as I think it could be arguably called) in the narration. Just done artfully well – his word choice and style is brilliant, and lends itself to the collaborative product in a major way. Lyricism, yes. Adoration for the skill and overal product. Strangely enough, I felt the opposite; The Dreaming, beautiful as it looks (and as talented as Evely and Spurrier are), is a Browse for me, whereas Border Town feels heartfelt and fun — a Buy. I like these kids and want to know them better. Of the two books, Border Town is the one I’ll be returning to next month. I don’t think it’s strange at all! I always tell people this and I tried to be clear about it in my review of Border Town in particular (but maybe I could be clearer)– people often like to treat reviews as definitive takes on things but they’re ultimately opinion. I think that on a purely mechanical level, Border Town and Dreaming are on a similar plane. My “verdict” for one versus the other ultimately comes down to the type of books I like more broadly– my taste is my taste and when I give a “verdict”, it’s not saying EVERYONE should buy the Dreaming and only give Border Town a browse. It’s me trying to say that if you like the kind of stuff I’ve liked historically based on what you’ve read of my opinion, you’ll probably like The Dreaming and maybe you’ll like Border Town. Ha, I don’t know why I said “strangely enough,” to be honest — but once I did, I couldn’t edit it out. As a reviewer myself, I know that reviews are just organized opinions — and I always value yours, btw!